Listen to the release track by track, A1 glides beautifully into A2 deep and very jazzy. Now flip over the vinyl to the B side and a more dance floor friendly pair of tracks with unpredictable U being the stand out track of the E.P, deep groove thats bursts into life with a beautiful jazz solo. Kevin Yost doing what he does best 10/10. Well rounded release. AA's are both gems in my books! 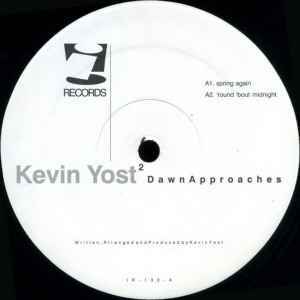 Stunning jazzy deep house from the pipe smoking Kevin Yost. Every track is a winner and you can listen to this as a mini LP. His albums 'One Starry Night' & 'Road Less Travelled' are both excellent deep house long players. He utilises proper live instrumentation, particularly saxophne in his tracks to great effect.